All the details about the annual meeting on January 24 and 25 in Washington, Missouri, can be found here. The 2014 MFMA Annual Meeting will be on Friday and Saturday, January 24 and 25, in Washington, Missouri. Friday afternoon activities include a farm tour and a downtown walking tour. In the evening there will be a reception. Saturday will include presentations and panels on a variety of topics of interest to managers, board members and supporters of farmers markets. More details will be released in December. Be sure to mention the MFMA meeting when making lodging reservations to receive the group rate. -DeBourge House Bed & Breakfast is offering a rate of $80 per night. -Super 8 is offering a rate of $67.90. -The Old Dutch is within walking distance of the train station, and is a great option for those traveling on Amtak. Arrives in Washington from West at 12:31 p.m. and 8:16 p.m., from East at 10:21 a.m. and 5:06 p.m.
Group Sales: 1-800-USA RAIL and ask for agent. You need at least 20 names in advance to get the group rate. Don’t miss this opportunity for learning and networking. The Greater Springfield Farmers Market has put together a conference that is chock full of learning opportunities and an unbelievable value. Get the details and registration form here. The annual meeting Farm Tour was a wonderful success, as was the meeting itself – but the farm tour was more photogenic! 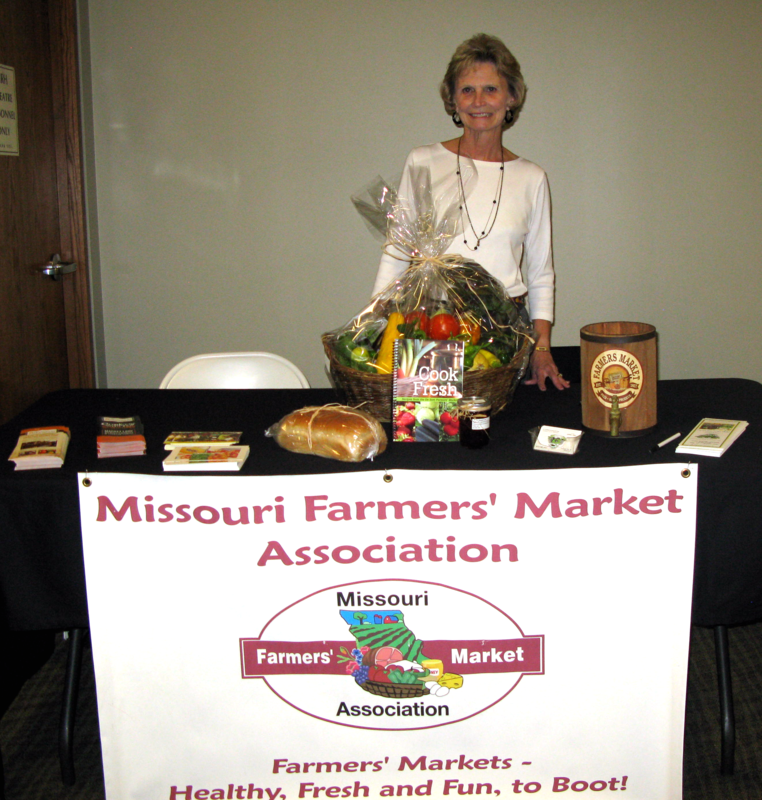 The Annual Workshop and Meeting of the Missouri Farmers Market Association will be Saturday, January 28, at the Missouri Armory, De Soto. The MFMA hosted a booth at the Healthy Food Initiative on September 1st. The Subject was “They call It Farm Bill, We call It Food Bill” The conference, held in Maplewood, was organized by Representative Carnahan. There were approximately 110 people in attendance. We had 59 people stop at our booth. Our president, Debby Campbell, made up a basket and staffed the booth. The basket was filled with fresh local produce, county fair award winning jam, freshly baked bread and one of the DFM cookbooks. Everything was from Debby’s market in DeSoto. As you can see from the photo, it was a great prize! Mark your calender for Saturday, January 28, 2012, and plan to attend the MFMA annual meeting in lovely De Soto, Missouri. Have a topic in mind for the meeting? Send us your ideas. The Annual Workshop and Meeting of the Missouri Farmers Market Association will be Saturday, January 29, Turner Hall, 518 Vine Street, Booneville, MO 65233. Market of the Year – Fair Grove Farmers Market was named Market of the Year. The Fair Grove Farmers’ Market was applauded for its youth programs, educational outreach and producer development efforts. Best Advertising/Marketing Campaign – Fair Grove Farmers’ Market was recognized for its integrated use of print advertising, web content and direct marketing tactics, as well as original, creative artwork to promote the market. Best Photo – Webb City Farmers’ Market won for visual documentation illustrating the importance of a farmers’ market to its patrons and community. 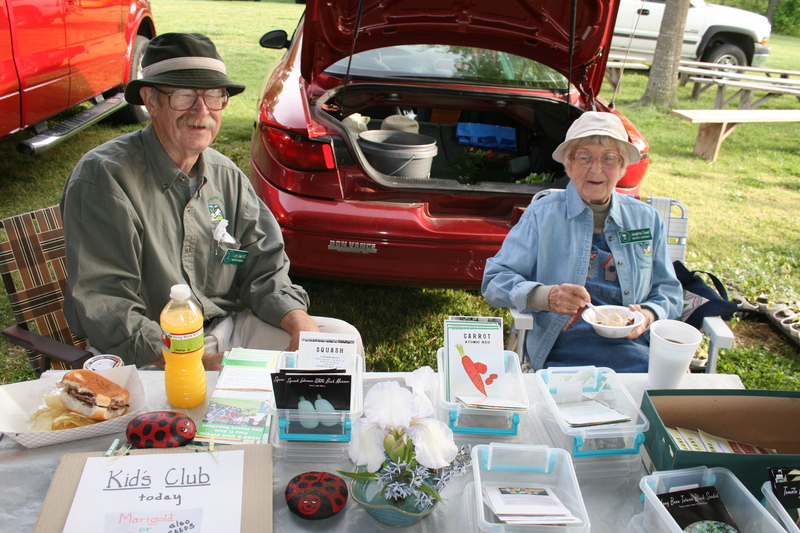 Best Event – De Soto Farmers’ Market took statewide honors for “Meet Me at the Market,” an event that educated community participants on recycling, local foods and gardening. Champions of the Year – Sue DeWitt of Marshfield Farmers’ Market and Pastor Darlene Payne of De Soto Farmers’ Market shared top individual recognition for dedicated service and commitment to their respective markets. DeWitt organized the Marshfield Farmers’ Market six years ago with only six vendors and now manages a market with more than 50 members. Described as an inspiration to vendors, patrons and the De Soto community, Payne was recognized for her positive and energetic approach.